G.R. No. 124914 July 2, 1997 - JESUS UGADDAN v. COURT OF APPEALS, ET AL. G.R. No. 105760 July 7, 1997 - PNB v. COURT OF APPEALS, ET AL. G.R. No. 107193 July 7, 1997 - EUGENIO TENEBRO v. COURT OF APPEALS, ET AL. G.R. No. 114275 July 7, 1997 - IÑIGO F. CARLET v. COURT OF APPEALS, ET AL. G.R. No. 116962 July 7, 1997 - MARIA SOCORRO CACA v. COURT OF APPEALS, ET AL. G.R. Nos. 118940-41 & 119407 July 7, 1997 - PEOPLE OF THE PHIL. v. GREGORIO MEJIA, ET AL. G.R. No. 119872 July 7, 1997 - REMEDIOS NAVOA RAMOS v. COURT OF APPEALS, ET AL. G.R. No. 122206 July 7, 1997 - RAFAEL ARCEGA, ET AL. v. COURT OF APPEALS, ET AL. G.R. No. 106099 July 8, 1997 - PEOPLE OF THE PHIL. v. AGUSTIN SOTTO, ET AL. G.R. No. 115307 July 8, 1997 - MANUEL LAO v. COURT OF APPEALS, ET AL. G.R. No. 115703 July 8, 1997 - EPIFANIO L. CASOLITA, ET AL. v. COURT OF APPEALS, ET AL. G.R. No. 117501 July 8, 1997 - SOLID HOMES, INC. v. COURT OF APPEALS, ET AL. G.R. No. 122308 July 8, 1997 - PURITA S. MAPA, ET AL. v. COURT OF APPEALS, ET AL. Adm. Matter No. P-97-1236 July 11, 1997 - MADONNA MACALUA v. DOMINGO TIU, JR.
G.R. No. 104865 July 11, 1997 - PEOPLE OF THE PHIL. v. VICTORIANO PONTILAR, JR.
G.R. No. 115033 July 11, 1997 - PONCIANO T. MATANGUIHAN, ET AL. v. COURT OF APPEALS, ET AL. G.R. No. 123204 July 11, 1997 - NATIONWIDE SECURITY AND ALLIED SERVICES, INC. v. NLRC, ET AL. Adm. Matter No. P-95-1158 July 14, 1997 - EUFEMIA BERCASIO v. HERBERTO BENITO, ET AL. G.R. No. 106153 July 14, 1997 - FLORENCIO G. BERNARDO v. COURT OF APPEALS, ET AL. G.R. No. 108838 July 14, 1997 - PAGCOR v. COURT OF APPEALS, ET AL. G.R. No. 108492 July 15, 1997 - PEOPLE OF THE PHIL. v. NOEL BANIEL, ET AL. G.R. No. 123379 July 15, 1997 - BAROTAC SUGAR MILLS, INC. v. COURT OF APPEALS, ET AL. G.R. Nos. 115439-41 July 16, 1997 - PEOPLE OF THE PHIL. v. SANDIGANBAYAN, ET AL. Adm. Matter No. RTJ-97-1382 July 17, 1997 - REXEL M. PACURIBOT v. RODRIGO F. LIM, JR.
G.R. No. 108634 July 17, 1997 - ANTONIO P. TAN v. COURT OF APPEALS, ET AL. G.R. No. 111165 July 17, 1997 - PEOPLE OF THE PHIL. v. ROGELIO MERCADO, ET AL. G.R. No. 114742 July 17, 1997 - CARLITOS E. SILVA v. COURT OF APPEALS, ET AL. G.R. No. 118860 July 17, 1997 - ROLINDA B. PONO v. NLRC, ET AL. G.R. No. 120262 July 17, 1997 - PAL, INC. v. COURT OF APPEALS, ET AL. G.R. No. 125195 July 17, 1997 - SAMAHAN NG MGA MANGGAGAWA SA BANDOLINO, ET AL. v. NLRC, ET AL. Adm. Matter No. RTJ-96-1362 July 18, 1997 - DSWD, ET AL. v. ANTONIO M. BELEN, ET AL. Adm. Matter No. RTJ-95-1283 July 21, 1997 - DAVID C. NAVAL, ET AL. v. JOSE R. PANDAY, ET AL. G.R. No. 108488 July 21, 1997 - PEOPLE OF THE PHIL. v. RODENCIO NARCA, ET AL. G.R. No. 111002 July 21, 1997 - PACIFIC MARITIME SERVICES, INC., ET AL. v. NICANOR RANAY, ET AL. G.R. No. 119184 July 21, 1997 - HEIRS OF FELICIDAD CANQUE v. COURT OF APPEALS, ET AL. G.R. No. 121768 July 21, 1997 - PEOPLE OF THE PHIL. v. DOMINGO CASTILLO, JR.
G.R. Nos. 122250 & 122258 July 21, 1997 - EDGARDO C. NOLASCO v. COMELEC, ET AL. G.R. No. 124347 July 21, 1997 - CMS STOCK BROKERAGE, INC. v. COURT OF APPEALS, ET AL. G.R. No. 111933 July 23, 1997 - PLDT v. NLRC, ET AL. Adm. Matter No. P-96-1205 July 24, 1997 - OSCAR P. DE LOS REYES v. ESTEBAN H. ERISPE, JR.
Adm. Matter No. RTJ-97-1383 July 24, 1997 - JOSE LAGATIC v. JOSE PEÑAS, JR., ET AL. G.R. No. 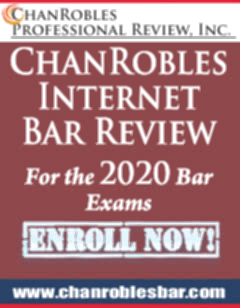 107723 July 24, 1997 - EMS MANPOWER & PLACEMENT SERVICES v. NLRC, ET AL. G.R. No. 111211 July 24, 1997 - ABS-CBN EMPLOYEES UNION, ET AL., v. NLRC, ET AL. G.R. No. 113235 July 24, 1997 - VICTORINA MEDINA, ET AL. v. CITY SHERIFF, MANILA, ET AL. G.R. Nos. 113366-68 July 24, 1997 - GREGORIO ISABELO, ET AL. v. NLRC, ET AL. G.R. No. 116635 July 24, 1997 - CONCHITA NOOL, ET AL. v. COURT OF APPEALS, ET AL. G.R. No. 116736 July 24, 1997 - PEOPLE OF THE PHIL. v. BENJAMIN ORTEGA, ET AL. G.R. No. 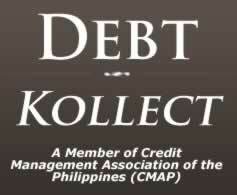 120276 July 24, 1997 - SINGA SHIP MANAGEMENT PHILS., INC. v. NLRC, ET AL. G.R. No. 121075 July 24, 1997 - DELTA MOTORS CORP. v. COURT OF APPEALS, ET AL. G.R. No. 121867 July 24, 1997 - SMITH KLINE & FRENCH LAB., LTD. v. COURT OF APPEALS, ET AL. G.R. No. 127262 July 24, 1997 - HUBERT WEBB, ET AL. v. PEOPLE OF THE PHIL., ET AL. G.R. No. 102858 July 28, 1997 - DIRECTOR OF LANDS v. COURT OF APPEALS, ET AL. G.R. No. 103209 July 28, 1997 - APOLONIO BONDOC, ET AL. v. NLRC, ET AL. G.R. No. 112323 July 28, 1997 - HELPMATE, INC. v. NLRC, ET AL. G.R. No. 116668 July 28, 1997 - ERLINDA A. AGAPAY v. CARLINA V. PALANG, ET AL. G.R. No. 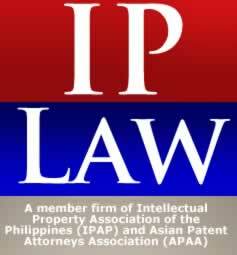 118822 July 28, 1997 - G.O.A.L., INC. v. COURT OF APPEALS, ET AL. G.R. No. 119000 July 28, 1997 - ROSA UY v. COURT OF APPEALS, ET AL. G.R. No. 119649 July 28, 1997 - RICKY GALICIA, ET AL. v. NLRC, ET AL. G.R. No. 119868 July 28, 1997 - PAL, INC. v. NLRC, ET AL. G.R. No. 123361 July 28, 1997 - TEOFILO CACHO v. COURT OF APPEALS, ET AL. G.R. No. 126556 July 28, 1997 - NELSON C. DAVID v. COURT OF APPEALS, ET AL. G.R. No. 117742 July 29, 1997 - GEORGE M. TABERRAH v. NLRC, ET AL. SBC Case No. 519 July 31, 1997 - PATRICIA FIGUEROA v. SIMEON BARRANCO, JR.
G.R. No. 97369 July 31, 1997 - P.I. MANPOWER PLACEMENTS, INC. v. NLRC, ET AL. G.R. No. 99030 July 31, 1997 - PLDT v. NLRC, ET AL. G.R. No. 108399 July 31, 1997 - RAFAEL M. ALUNAN III, ET AL. v. ROBERT MIRASOL, ET AL. G.R. No. 108619 July 31, 1997 - EPIFANIO LALICAN v. FILOMENO A. VERGARA, ET AL. G.R. No. 113689 July 31, 1997 - PEOPLE OF THE PHIL. v. FELIPE SANGIL, SR.
G.R. No. 113958 July 31, 1997 - BANANA GROWERS COLLECTIVE, ET AL. v. NLRC, ET AL. G.R. No. 119068 July 31, 1997 - PEOPLE OF THE PHIL. v. DANTE CASTRO, ET AL. G.R. No. 121027 July 31, 1997 - CORAZON DEZOLLER TISON, ET AL. v. COURT OF APPEALS, ET AL. G.R. No. 121157 July 31, 1997 - HEIRS OF SEGUNDA MANINGDING, ET AL. v. COURT OF APPEALS, ET AL. G.R. No. 123561 July 31, 1997 - DELIA R. NERVES v. CSC, ET AL. G.R. No. 124678 July 31, 1997 - DELIA BANGALISAN, ET AL. v. COURT OF APPEALS, ET AL.